Camping these days can be pretty glamorous. Glamorous to the point that it's insulting to the community of enthusiasts and backpackers out there that really need to measure out their water, food, and supplies and take safety precautions to keep wild animals away. 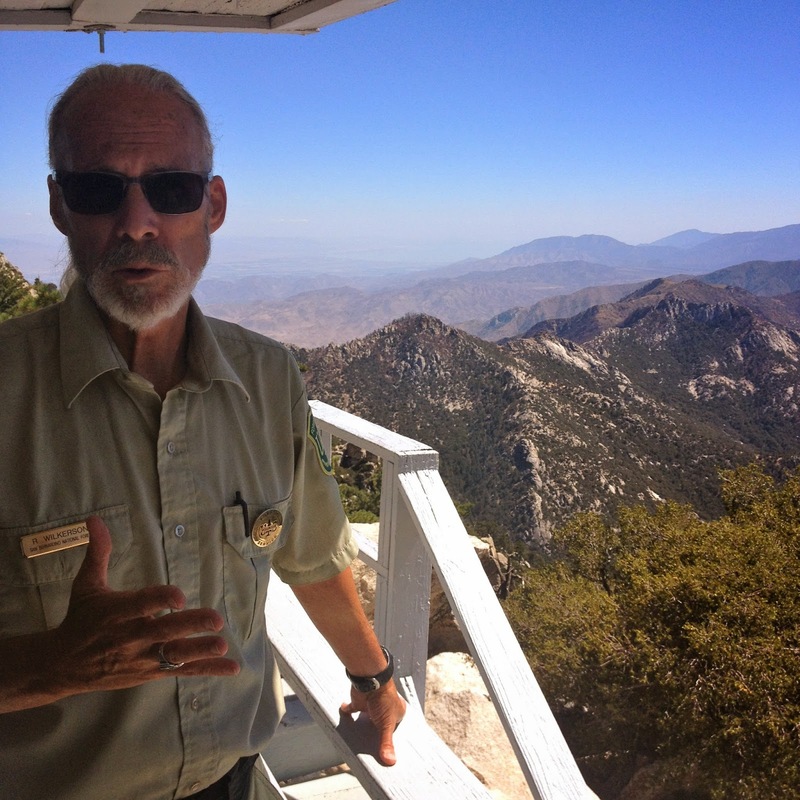 This is why I'm afraid we might have engaged in a bit of glamping last month on our trip to Mount San Jacincto State Park. 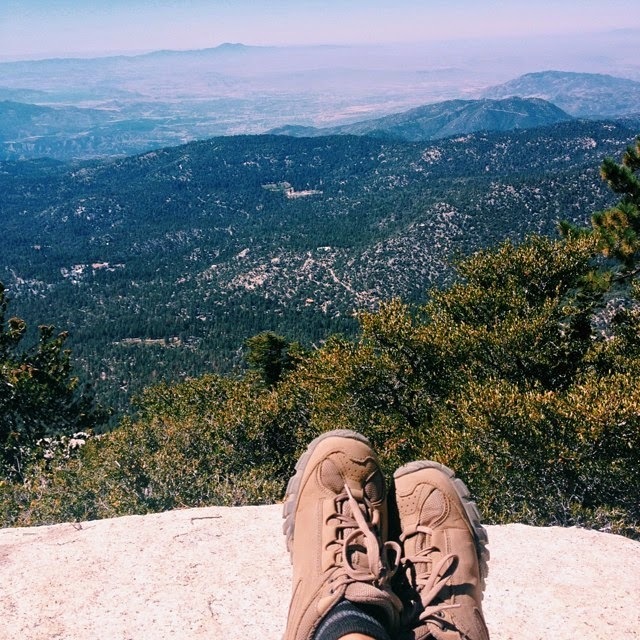 While we didn't take it to the extreme sleeping in an RV with cushy air mattress and wifi, we did have easy access to running water, hot showers, and a tempting supply of ice cream shops in the little town of Idyllwild down the road. Despite our easy access at the campground, we wanted to try and have an authentic experience as far from glamping as possible. This meant sleeping in a tiny two-person backpacking tent, cooking our food over an open fire, and (of course) eating smores off of sticks we found on our hike. I was on pasta and smore prep as Chris took over on fire making duties. I'd say his primal instincts kicked in as he chopped wood and built up the kindling, patiently stoking the flames to get our little pots nice and hot for supper. Not sure if pasta primavera and French bread is exactly "roughing it" but the veggies did have a nice smoky flavor to them from the fire! Sorry I don't have pictures, but it was dark and I was in full survival mode! (jk I just forgot to bring my camera and iPhone pics a night just don't make the cut). 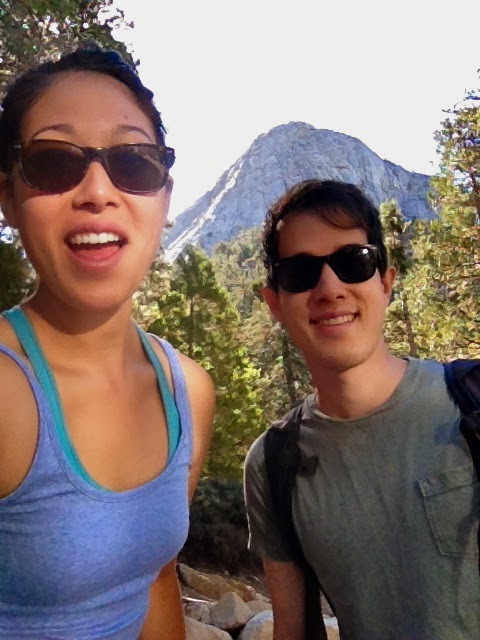 Not only did we have two successful meals, but we also went on two successful hikes. The sky was bluer than ever and the clouds danced above us, drifting through the mountains as we trekked through the trails. On Day 1 we did Suicide Rock. It wasn't nearly as terrifying as it sounds, but it was a nice steady and partially shaded traverse out to this open rock face that had a dramatic drop into the valley below. The fun part was realizing that we had to beat the sunset back to the car. We jumped down rocky steps, jogged down steep bits of trail, and skipped on the empty path as the sky turned from blue to red with the sunset. 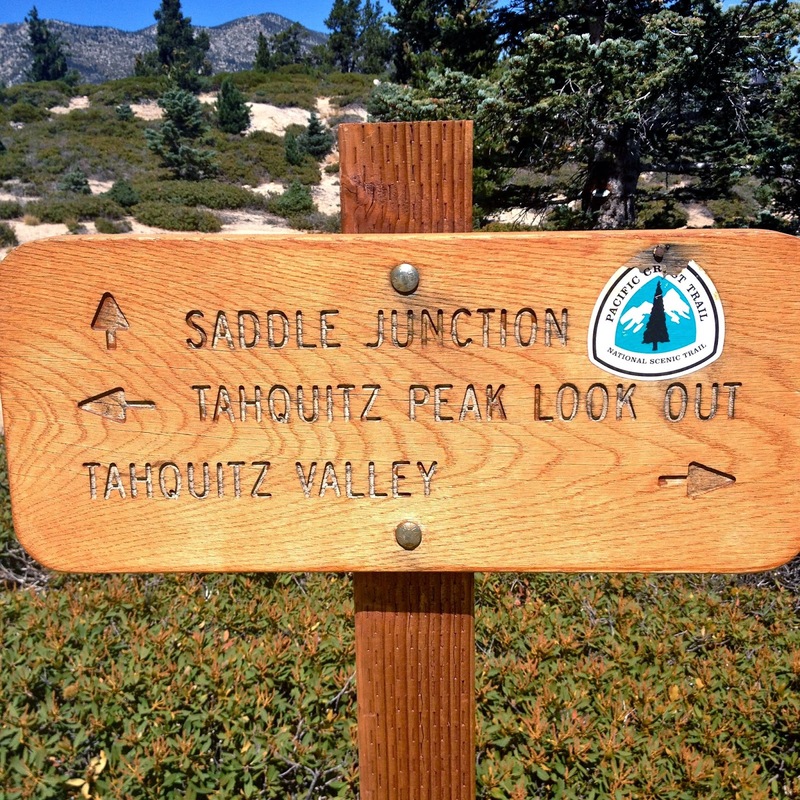 It was a rewarding and beautiful 6 mile hike and got us excited for Tahquitz Peak the following day. 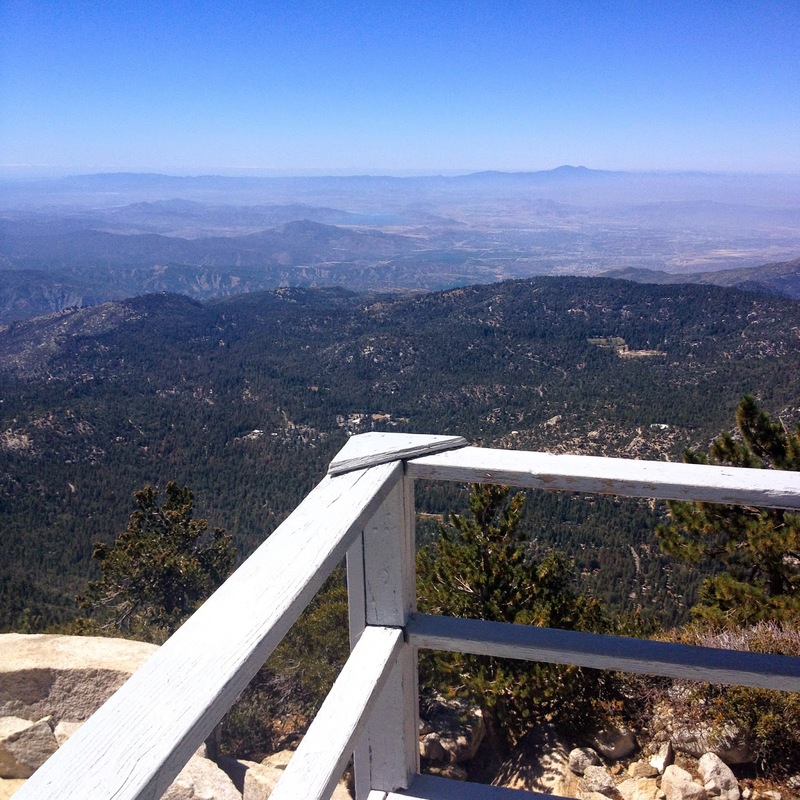 Tahquitz Peak was UH-MAY-ZING! 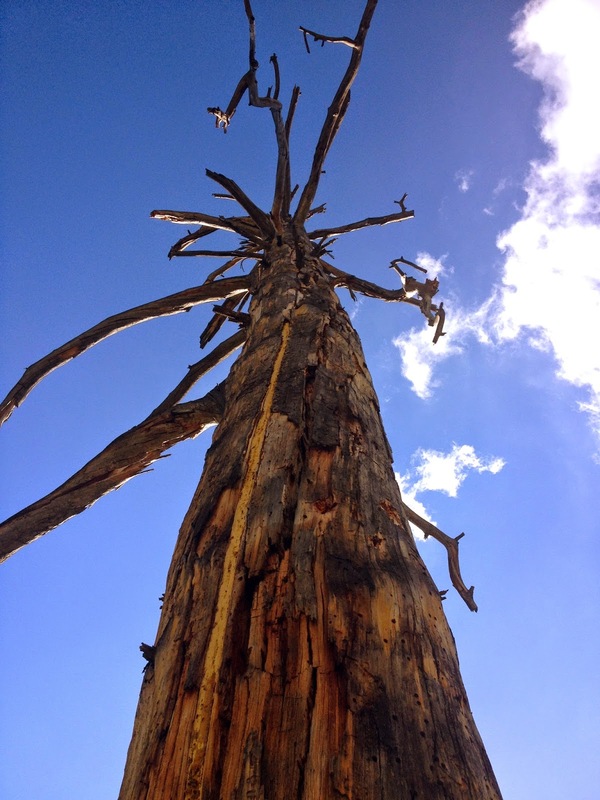 The little tree worshipper in me couldn't handle how beautiful it was! The path was so well-maintained and we had a good amount of hiking both in the shade and in the sun. 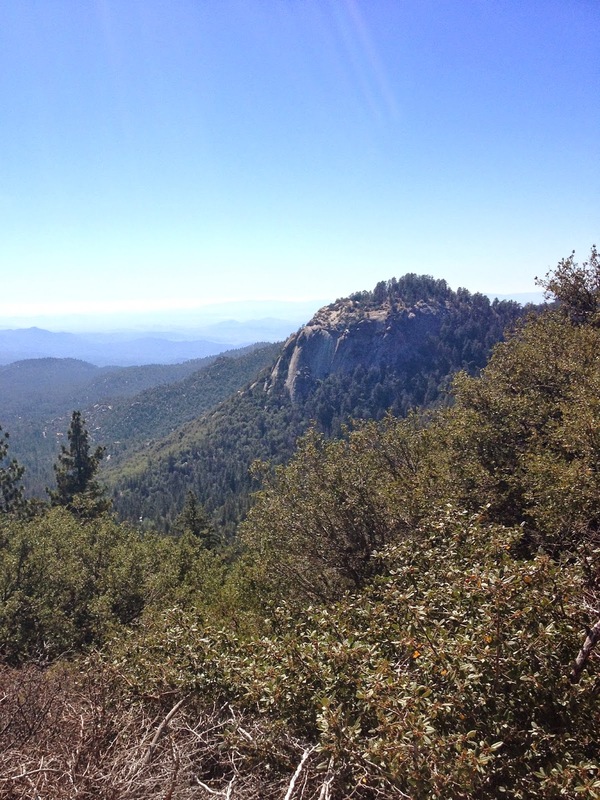 We went from the bottom of the little valley, past the elevation of Suicide Rock, and up through the trees. We saw the foliage changing and switch-backed our way to a traverse along the last mile and a half of the climb. The path opened up and we were above the trees, traversing in a rocky section that overlooked the valley below. Our landmark was a tiny blue observation tower that stood above the rocks. As we rounded the last corner, we saw there were others taking a rest and admiring the 360 view they just earned. We made friends with the rangers as they showed us the cities below us, telling us how they keep a watch for lightening and mark a map where it strikes to keep an eye out for lingering fires. We ate a lunch of oatmeal, granola bars, bread, and hard boiled egg (weird, I know) and enjoyed the view until we hobbled our way down the mountain, realizing just how far we'd really climbed. It was more than perfect seeing the trees again, breathing in fresh air, and escaping from the city for a change. We'll definitely be camping / glamping again soon and I can't wait to go on another adventure. I've made a mental note to pack more healthy snacks (aka not marshmallows, maybe carrots would have been a better purchase) and to bring my good camera (the weight on the hike is so worth the pictures). You'll have to live with these stellar iPhone snapshots I took! Weeeee have a happy week! Beautiful photos and a beautiful hjike!